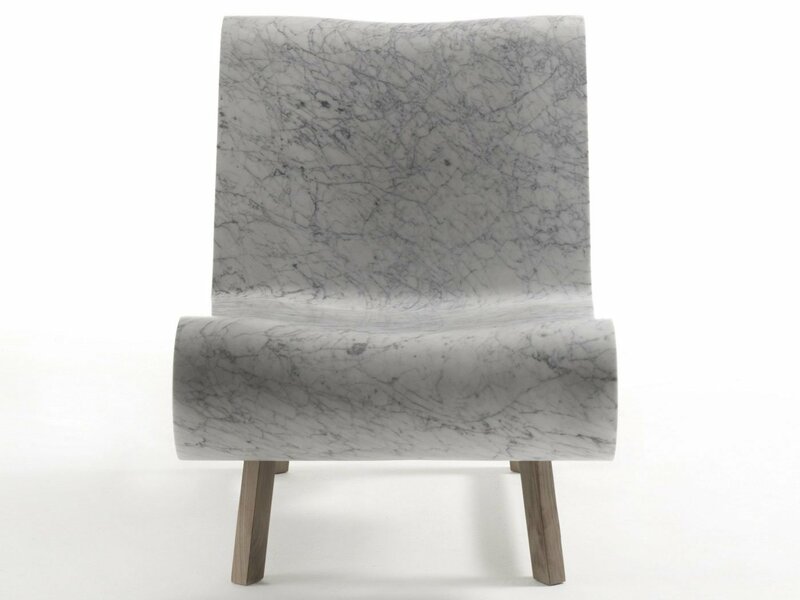 Why would anyone want a chair made of cold, hard marble? To look at, of course. This beautiful creation was conceived by RIVA 1920 and MGM/La Marmoteca. 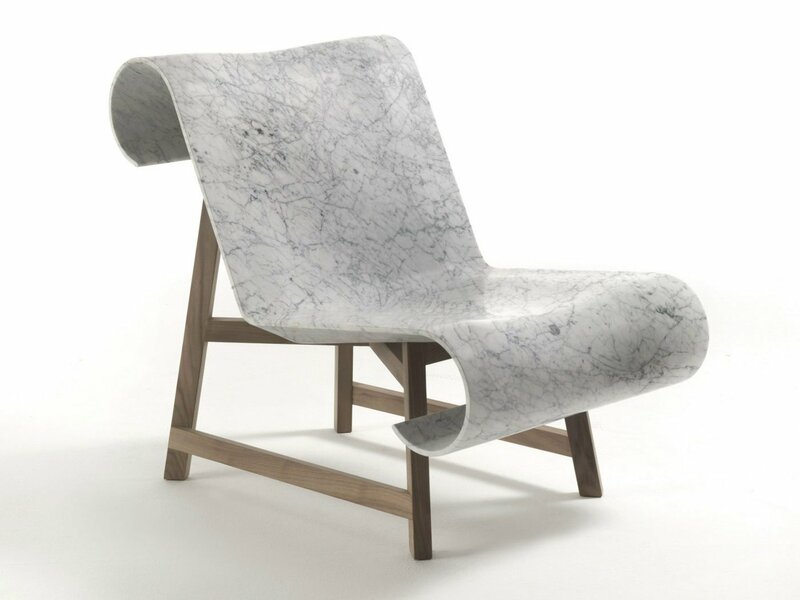 Resting on handsome nut wood legs, the seat is made of Carrara marble and curls at the ends, referencing Alvar Aalto’s iconic Paimio Chair. The smooth design contrasts the differing textures of the wood and marble while showcasing the grain and veins of both.